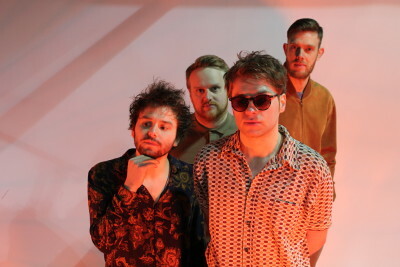 The band signed to independent record label IMOUT Records and released their debut single ‘Season of Salt’ in winter 2015. This also coincided with no less than 3 of their songs featuring in the top 20 of The Herald Scotland’s top 100 Scottish songs of 2015 with single “Season of Salt” being the highest entry at number 11. 2016 saw the band nominated as best newcomer at the annual Scottish Alternative Music Awards, continued support from BBC Radio Scotland and Amazing Radio and also inclusion in Vic Galloway’s 25 bands to watch and Jim Gellatly’s 10 picks for 2016 in The Scottish Sun. This year also saw the band venture out internationally after being selected to perform at renowned music industry showcase MUSEXPO in California. The band followed this up with the release of their second single & Double A- side “Lonely So Long” / “Black Magik” to critical acclaim in Oct that year. Lional, spent the first half of 2017 writing and rehearsing new material, culminating in studio sessions with acclaimed producer Colin Elliot (Richard Hawley, Paul Weller, Duane Eddie, Kylie Minogue) at the renowned Yellow Arch studios in Sheffield. The band released the anthemic “Moonlight” from these sessions on Friday 23rd March 2018 showcasing a marked progression in their sound. The follow up single “Dark Sunglasses” is released on Fri 15th June coinciding with a Scottish tour and a special hometown performance at the Ironworks Venue on Saturday 23rd!